If you’ve paid attention to the news over the last few days, you know that Facebook privacy policies are falling under a lot of scrutiny. It was revealed that the social media site released our personal information to the data mining firm, Cambridge Analytica, who gave our information to the Donald Trump presidential campaign. Regardless of where people sit on the political spectrum, the country is still reeling over the news and Facebook’s stock is tumbling. While Facebook struggles with how to protect our privacy, there are steps you can take right now, without quitting the social media site that binds the lives of billions of people. For users such as you and me, Facebook is free, at least in the monetary sense. Facebook doesn’t earn its money off of users. Instead, it sells ads — it sells highly targeted ads that are based on your interests and your posting history. Facebook says it protects your privacy, and to an extent it does. It doesn’t sell or give away your address or phone number, but it does give enough data to advertisers to know that you like vintage shoes or fleece outerwear. In the case of Cambridge Analytica, Facebook sold your political opinions, as well as your demographics. Hillary Clinton supporters may never have seen ads produced with Facebook’s data. However, those who supported Bernie Sanders, a third-party, or Donald Trump, probably did. If the Sanders or Trump supporter lived in a swing state, the chances of being targeted by the campaign were even higher. We can’t know at this point if Facebook’s deal with Cambridge Analytica won the election for President Trump; but we do know that everything seems to fall within Facebook’s terms of service, which we all agree to. In a nutshell, Facebook knows more about you than you probably know about yourself. It tracks your browsing and purchasing history. It knows what groups you belong to, your posting history and it owns all of your photos. If you have a Facebook app on your phone, it can even track your movements. 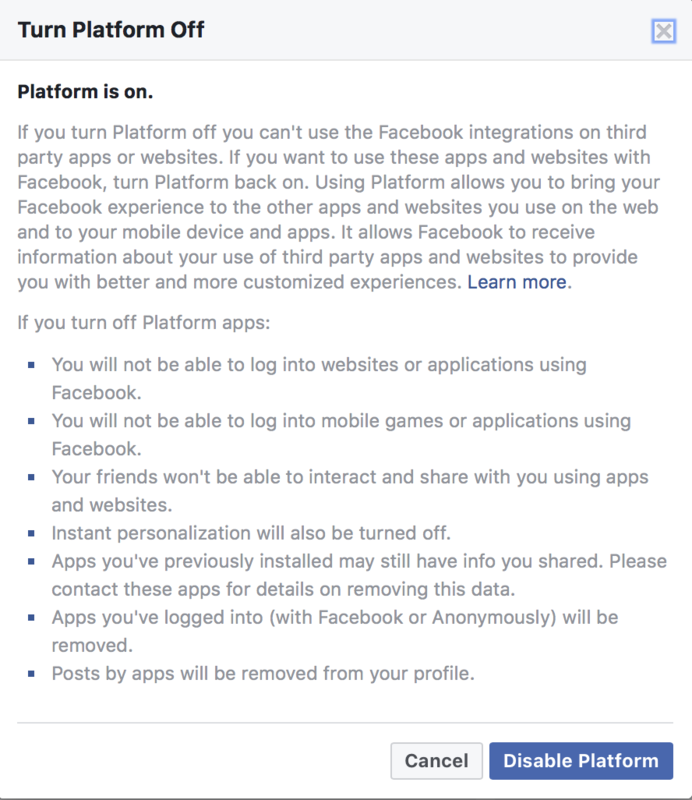 Beyond that, if you ever log into a site via Facebook, that site will be able to collect your data, as do all the apps you’ve joined through Facebook. While it takes lawyers to understand exactly what privacy rights we sign away when we sign up for Facebook, there are ways to protect your rights. First, though, Facebook CEO Mark Zuckerberg has vowed to beef up Facebook’s security settings. What are the Proposed Facebook Privacy Changes? While Zuckerberg and Facebook executives are taking full responsibility for the pirating of our data, they haven’t come up with any specific solutions. And that’s why the first action that we now need to go take is to not just rely on certifications that we’ve gotten from developers, but [we] actually need to go and do a full investigation of every single app that was operating before we had the more restrictive platform policies—that had access to a lot of data—and for any app that has any suspicious activity, we’re going to go in and do a full forensic audit. And any developer who won’t sign up for that we’re going to kick off the platform. Facebook says that they don’t sell your data. But, they do sell the ads that are targeted to you, based on your data. That’s unlikely to change anytime in the near future, although at least one major advertiser has had enough. Mozilla, the company that owns the Firefox browser, is “hitting pause” with all Facebook advertising until Facebook figures out what it’s going to do. Mozilla isn’t one of Facebook’s largest advertisers, but if other companies back them up, we could see changes sooner, rather than later. For now, though, you should take your security into your own hands. 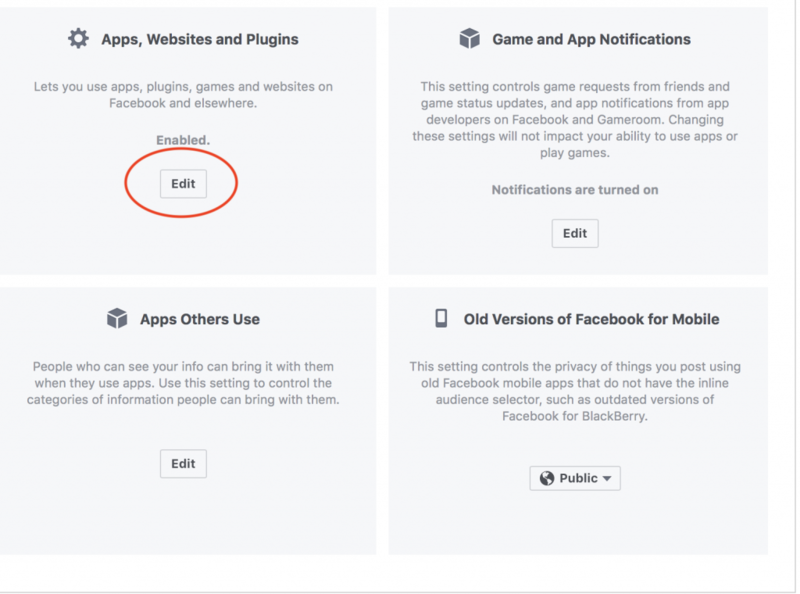 You can more or less lock down your own Facebook page by making a few changes to your privacy settings. Click on the arrow in the upper right-hand corner of your Facebook screen. Toward the bottom, you’ll see “settings.” Click on that. Then, click on “privacy” on the left side. Ask yourself what you use Facebook for. There are people who don’t mind their information being public. I choose to only allow friends to see my posts, and to only allow friends of friends to make friend requests. Once you’re satisfied with those settings, click on “Timeline and Tagging” to control who can post on your timeline as well as who can tag you. I only have a few, but many find that they have dozens, or even hundreds, of apps. To delete an app, click on the “x” to the right of it, and remove the app. You can do the same with “Game and App notifications” and “Apps Others Use,” to keep from getting those annoying game requests. 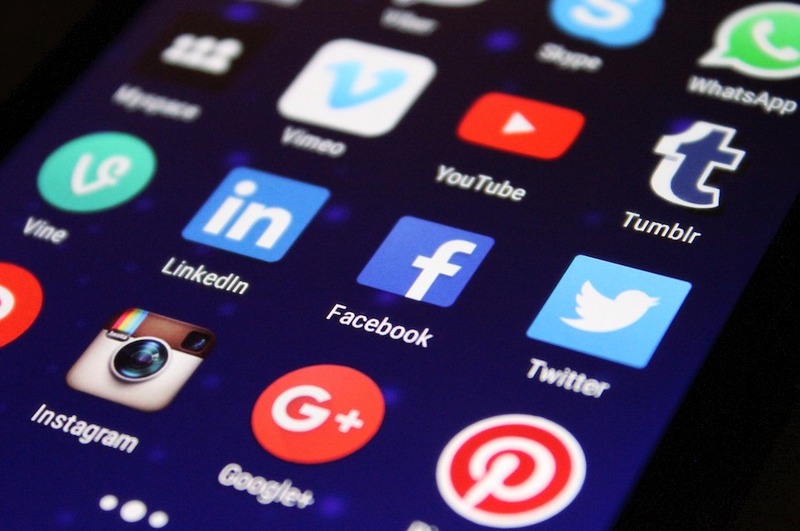 Many security experts feel that one of our biggest security blunders is having social media phone apps. It’s bad enough that Facebook is tracking your activity as you’re sitting at home on your sofa, but when they begin tracking the restaurants you frequent, when you get gas for your car, what movies you attend and even who you hang out with, things can get a bit out of hand. Many have even said they’ve seen ads for products they’ve only talked about. Still, users are skeptical. To prevent this from happening, you have two choices. If you have the app on an iPhone, simply head to Settings > Privacy > Microphone and revoke Facebook’s access to your mic. On Android, find your way to Settings > Apps > Facebook > Permissions > and toggle off the microphone setting. Or, you can delete the app altogether. For extra security, cover the camera on your home computer and stick a headphone jack in the headphone port. You can also do what some are doing, you can delete Facebook altogether.